We have a problem. For many nights, over the last few months, we’ve tried to stream TV shows or movies only to get perpetual loading. Ten seconds of video will play followed by ten seconds of loading screen. Needless to say, this makes streaming virtually impossible. It’s not just streaming either. Normal web browsing will slow to a crawl and sites will become unreachable. I would run speed tests and, at times, got download and upload speeds much less than what we were paying for. At one point, Time Warner Cable sent a technician over. (Important detail, they scheduled an appointment after we complained in a tweet but didn’t @ them. They didn’t even consult us, they just looked up our information based on previous correspondences and messaged us as to when our appointment was.) The tech came over and examined our network. Everything seemed fine to him. Unfortunately, the problems didn’t stop, but got worse. One night, while watching Hulu on our Roku, we were subjected to persistent "loading messages." We’d get twenty seconds of show followed by ten seconds of a loading screen. This wasn’t our wireless network, mind you. The Roku is connected via a wired connection. The problems got so bad that B, in sheer exasperation, wanted to just cancel our account with Time Warner Cable and see alternatives. That’s where the big problem lies, however. Time Warner Cable Internet: Our current provider. We’re paying about $35 a month for 15Mbps Internet access. Verizon DSL: Verizon is actively trying to ignore/ditch DSL in favor of the much more profitable mobile market. I had to wade through page after page about FIOS which isn’t available in my area before their website directed me to a page on DSL Internet. Finally, I found an offer for 15Mbps for $30 a month. Sounds good, right? Well, there are some little details. First off, this is part of a series of speed ranges. The whole offering is 1.1Mbps – 3Mbps, 3.1Mbps – 7Mbps, and 7.1Mbps – 15Mbps. When I actually hit "Order now", I was told it would be 3.1 – 7Mbps. Also, the price went up to $35. Also, this requires you to get a Verizon home phone line. Lastly, this price was only good for one year (and would doubtlessly include "taxes and fees" to increase our rate). 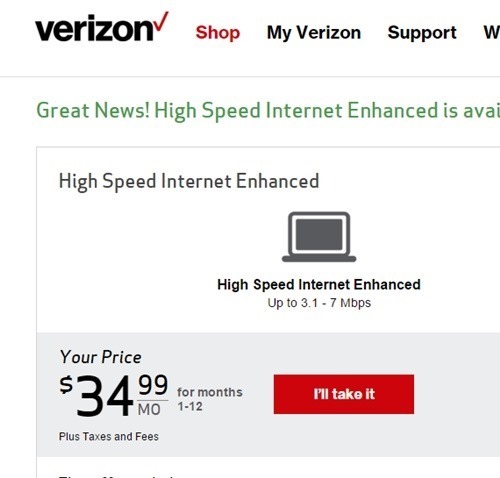 So in the end, Verizon wants us to pay more than TWC for half the speeds. Satellite Internet: Some people suggested satellite Internet. I had heard that it was very expensive, but people said it had come down in price, so I looked into it. HughesNet wanted $60 a month for 10Mbps of Internet access or $130 for 15Mbps. Not only that, but there were caps involved. Currently, our TWC connection has no caps. HughesNet, however, claimed to be giving between 60 and 70 GB of data to use per month. At first glance, this might seem like enough. My own rough estimate of our Internet usage suggested that we use about 50GB per month. The problem is that the 60GB of data per month is "10GB Anytime allowance PLUS 50GB of Bonus Bytes (2am-8am)". The 70GB plan was 20GB anytime and the rest for 2am-8am. Yes, the cap is really 10-20GB during the times when you’re most likely to use your data (8:01am – 1:59am) and the rest for the early morning hours when almost nobody is on. So, for our usual usage, we’d be facing an effective 10-20GB cap for at least double our current price. Wireless Internet: For the most part, wireless plans have obvious shortcomings: They tend to be more expensive and they have lower data caps. 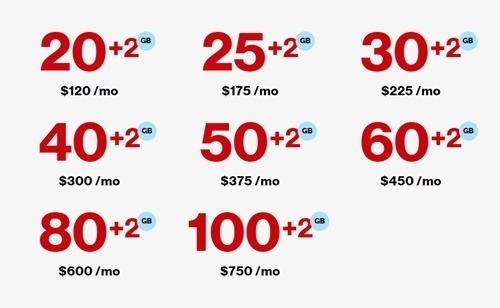 I wondered, though, whether Verizon Wireless would even sell us a 50GB plan. If so, maybe it would be worth our while. After some digging, I found a plan for 50GB a month that should get us the data that we need. Unfortunately, it would cost $375 a month! Even a data-only plan with equivalent amount of data cost $335. The other options (dial-up, going without Internet) just are not compatible with a modern web developer. Who would want to buy website work from someone without the Internet access needed to make changes? Competition is healthy for businesses and users. It makes companies improve their services and lower their prices. Businesses, knowing that their customers could defect at any moment, do everything possible to retain users. You can see this in areas where Google Fiber becomes available. 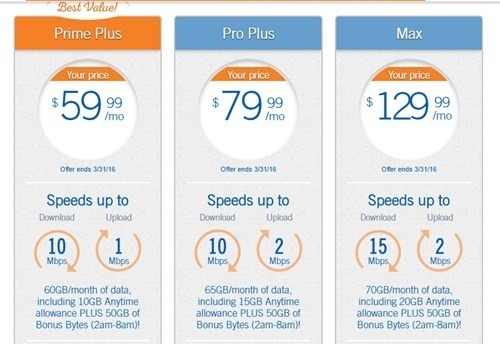 After much complaining, the entrenched ISPs begin improving speeds/service and lowering prices. Unfortunately, since Time Warner Cable is a monopoly in our area (something that is true in many locations), they can feel free to let their network quality decline while raising their prices. Since the alternatives are worse then TWC, sadly, Time Warner Cable will continue to get our monthly payments and we’ll have to brace for spotty Internet access for some time to come.